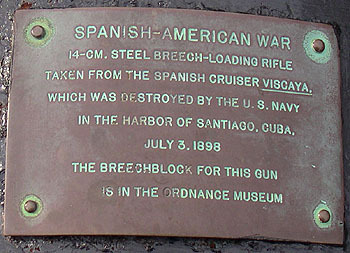 The following images are of a gun which was taken from the wreckage of the Spanish Cruiser VIZCAYA lost at the the Battle of Santiago. The gun appears to be a 14 cm gun Hontoria quickfire gun, one of eight carried by the vessel. 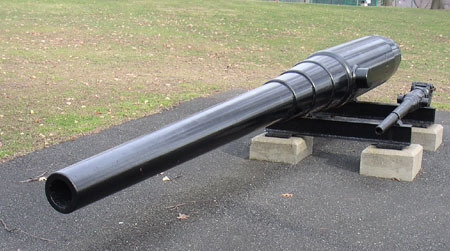 This is an image of the gun as seen from the front. The gun as seen from the side, rear. Taken from the Spaish Cruiser VISCAYA. is in the Ordnance Museum"